The cooks serving up porchetta sandwiches at Roast in the Victoria Public Market are all but hidden behind a massive bouquet of crispy pork rinds. The guy standing behind me is admiring the bubbly golden slabs of porky fat, too, while two young girls in the lineup are giggling, pointing and trying to figure out how they can get a big chunk of crackling to go. — fat makes food delicious. Now researchers say saturated fat is actually healthy too, a nutritious whole food that comes perfectly packaged with the meat that’s sustained us for millennia. Animal fat, it turns out, doesn’t make you fat and might actually protect you from heart disease, diabetes and cancer. Polyunsaturated liquid fats, the kind we use to cook and fry and make almost everything, are far more dangerous, even toxic, to consume, especially when heated. And carbohydrates, those processed flours and sugars we’ve been filling up on since giving up meat, have created an obese and unhealthy populace. At least, this is the conclusion that journalist Nina Teicholz and others have come to after combing through decades of research on the topic. 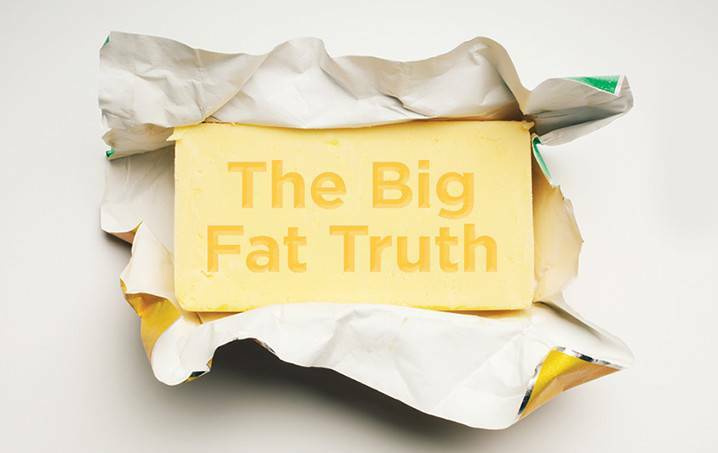 “In recent years, there have been dozens of clinical trials looking at the benefits of a higher-fat, lower-carb diet,” says Teicholz, author of The Big Fat Surprise: Why Butter, Meat and Cheese Belong in a Healthy Diet. It’s a revelation, and a celebration, for fat-lovers, but one that’s hard for most people to comprehend — especially since we’ve been told quite the opposite by doctors, health departments and other organizations for more than 40 years. The message has been that a low-fat diet, high in vegetables, fruits, grains and other carbohydrates, is the key to good health. Like smoking or too much alcohol, those bacon-and-egg breakfasts would seriously shorten your life. So, like most health-conscious Canadians, I’ve followed the Canada Food Guide and championed the Mediterranean Diet Pyramid, reducing the meat in our meals and adding more fruit, vegetables and whole grains to the daily menu. And like many people, I’m constantly fighting the scale and all that comes with the extra pounds. We’ve all made a huge shift away from meat and butter, but we’re now facing an epidemic of obesity and Type 2 diabetes. Where did we go wrong? “It all stems from one original hypothesis in the 1950s that saturated fat and dietary cholesterol caused heart disease, ” says Teicholz. That diet-heart hypothesis, developed by American nutritionist Ancel Keys, linked saturated fat with cholesterol and heart disease, and was widely adopted by doctors and public health experts. But Keys’ science was flawed from the start, she says. And Teicholz is helping to unravel it. After nine years spent delving into 50 years of research, Teicholz has concluded that our fear of fat is both ungrounded and unhealthy. By following the officially prescribed low-fat diet, we’ve cut fat consumption by 25 per cent, while adding 30 per cent more carbohydrates to our daily diets. But clinical trials now prove that a low-fat, high-carb diet increases our risk of diabetes, heart disease and obesity, the very illnesses that are now rampant throughout the population. New trials also confirm that eating cholesterol (i.e. eggs and shellfish) won’t increase blood cholesterol, and that total cholesterol is not a big predictor of heart attack risk anyway. Even more surprising is that eating a low-carb diet, along with more saturated fat, produces the best HDL-LDL cholesterol ratio for good health. Teicholz says the public is understandably skeptical and confused about all of this contradictory diet advice. But as her book so aptly outlines, relying on Keys’ random epidemiological studies rather than clinical trials started us down the wrong nutritional road. And though we continue to hear mixed messages about fat from experts, the official hard line against saturated fat is melting away. “There has been no official announcement that the low-fat diet is over, but governments have gone silent on the topic, quietly tiptoeing away from low fat,” says Teicholz, noting that the massive Women’s Health Initiative (WHI), the largest clinical trial of its kind, found “the low-fat diet completely ineffective” in reducing heart disease, stroke, cancer or even body weight. The WHI, which followed 49,000 women for a decade, is proof that we got it all wrong, she says. Subsequent trials have confirmed the WHI findings. Carbohydrates, including bread and pasta, raise insulin levels which cause the body to store fat. We should switch to a higher-fat, lower-carb diet, she says, with meat and fat (40 to 60 per cent or more of calories from fat, not the current 25 to 35 per cent) back in the centre of the plate. The other, perhaps counterintuitive, conclusion of the WHI study is that consuming fat will not make you fat. In fact, the opposite may be true. But replacing carbs with more satiating fats, especially saturated fat, it’s easier to eat less and lose weight. Several popular diet regimes have taken this tack, including the Paleo Diet, the Atkins Diet and the Bulletproof Diet, a complex regime devised by American tech magnate-turned-diet guru David Asprey. Asprey, a self-described “biohacker,” has built an entire franchise based on his Bulletproof Coffee, a daily drink of coffee mixed with grass-fed butter and MCT or coconut oil, which is central to his ultra-low-carb but high-fat, gluten-free diet. His zealous followers report massive and rapid weight loss, along with other biological benefits. Even those with high blood pressure, cholesterol, triglycerides and blood sugars (the classic “metabolic syndrome”) claim their numbers return to normal after adopting Asprey’s dietary routine. The program includes eliminating all sugar and replacing those calories with grass-fed butter and coconut oil, avoiding all gluten and polyunsaturated oils (corn, soybean, canola, walnut, flax, peanut), mycotoxins from molds (cheese, peanuts, corn, wheat, barley), legumes and food additives. Instead, Asprey recommends eating grass-fed meat from ruminants (beef, lamb, bison), wild seafood, full-fat, grass-fed dairy, eggs, organic vegetables and small amounts of fruit. The Bulletproof regime may be at the extreme end of the new low-carb/high-protein diet spectrum, but it’s not the first time we’ve heard similar advice. In 2002, writer Gary Taubes’ story “What If It’s All Been A Big Fat Lie?,” in New York Times Magazine, and his subsequent books Good Calories, Bad Calories and Why We Get Fat, laid out the fat/carb conundrum. Other books, like Fat, from Canadian food writer Jennifer McLagan, aim to educate us about this “misunderstood ingredient,” too. But our “fat phobia” is deeply engrained, says McLagan. “People are still convinced that fat is bad, it’s evil,” says McLagan, who earned a James Beard award for her 2008 cookbook filled with recipes for butter-poached scallops, crispy pork carnitas, lard-based pastries and duck fat fries. McLagan demystifies leaf lard, pork belly, bacon fat and beef suet, explaining both the health and culinary advantages of cooking with animal fats. She says fat fills you up, carries flavour and doesn’t make you fat. The official advice on dietary fat is changing, if slowly. The Canadian Heart and Stroke Foundation quietly released a new position statement in September that backs off its former position against saturated fat, saying instead that we should eat whole foods and avoid all highly processed food products, including cookies, crackers, pizza and burgers, which can be loaded with calories, refined carbohydrates, sugars and trans fats. The statement includes “no threshold or limit for saturated fats” and suggests Canadians go back to the basics by cooking from scratch, using whole ingredients and paying attention to portion size. It sounds a lot like the advice from Teicholz, McLagan and others. Some might call it common sense. While there’s no one-size-fits-all diet, it’s clear that the low-fat diet has failed us. My grandmother cooked in goose grease, fried delicious doughnuts in lard and served those addictive pork cracklings with her Sunday roast. I’m looking forward to enjoying these tasty, traditional foods again — hold the guilt. 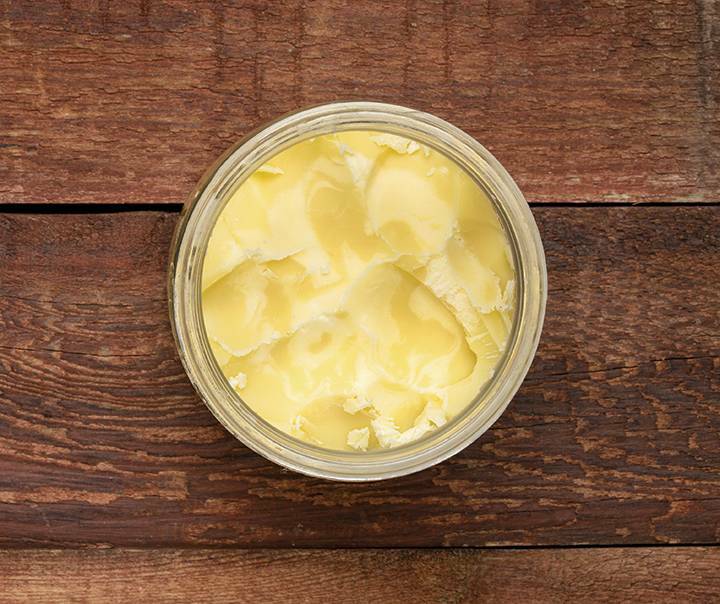 You don’t need to own a cow to make butter. 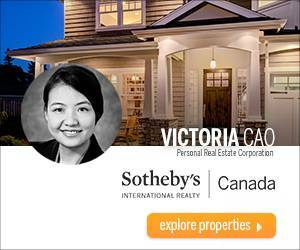 Whip it up right in your own kitchen! Continue to shake until buttermilk separates out of the lump and the jar contains a solid lump of butter and liquid buttermilk. Rinse the lump of butter in cold water until the water runs clear. Mash in salt or other seasonings. Wrap butter in plastic and refrigerate. Suggested butter flavours: cinnamon-brown sugar, chives and black pepper, or garlicand dill. *This is much faster in a food processor, but a lot less fun!